Time to reveal our new game: Puzzycat! Do you enjoy puzzles? Do you like cats? Then you’ll love this game! Join a journey full of adventures! Slip into the role of Crumbs and let the wise owl Hermes guide you through a magical, lovingly designed world with lots of exciting and challenging levels. Meet cat friends and bring them together: Combine cleverly, use items skillfully and prove your quick reactions in many different puzzles. 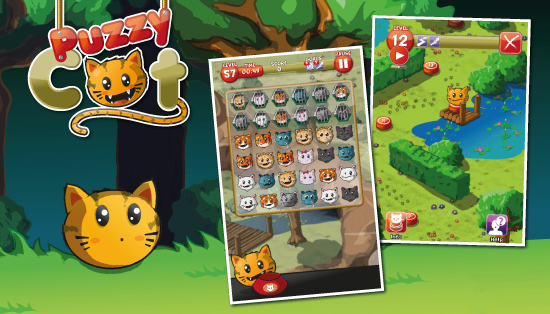 Puzzycat is now available on Google Play for your Android device! 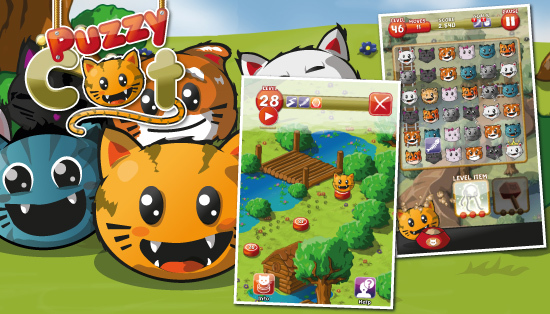 Puzzycat for Apple iPhone and iPad will follow very soon!